Dominic Marsico is a Managing Partner of Wechsler Marsico Simpson, a comprehensive financial services firm committed to helping their clients improve their long-term financial success. Wechsler Marsico Simpson offers a wide range of quality financial products and the advice and expertise of experienced financial professionals in the industry. Dominic brings over 30 years of insurance and investment experience, having entered the business in 1977. 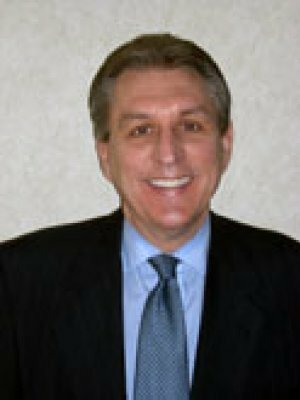 Dominic is a Registered Principal, Registered Representative and Investment Advisor Representative of Securian Financial Services and has earned professional designations including Chartered Life Underwriting and Chartered Financial Consultant from the American College in Bryn Mawr, Pennsylvania. He graduated from West Chester University in 1973 earning a Bachelor of Science degree. Active in several professional organizations, Dominic is a lifetime member of the Million Dollar Round Table*, the Premier Association of Financial Professionals. Dominic lives in Gwynedd Valley, Pennsylvania with his wife, Donna. *Million Dollar Round Table (MDRT) is an independent membership organization of life insurance and financial service professionals. Membership levels are based on commissions, premiums, or fees generated within a year from investment and insurance products. Members must apply annually and pay a fee. Members must be in good standing of a Professional Association which has met the following criteria: in existence at least 2 years, have 100 or more members, must be a nonprofit organization, must have a code of ethics and an effective means of dealing with breaches of its code. Members must also adhere to the MDRT Code of Ethics. Working with this advisor is not a guarantee of future financial results. Investors should conduct their own evaluation.